Home » Interview » CALL FOR APTITUDE TEST FOR THE POSITION OF BANKING OPERATION OFFICER PEMBA. CALL FOR APTITUDE TEST FOR THE POSITION OF BANKING OPERATION OFFICER PEMBA. be held on 7th December 2017 at 6:30 pm . For any inquiry please call 0688644327. 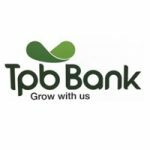 TPB was established by the Tanzania Postal Bank Act No. 11 of 1991 as a separate legal entity from the now defunct TP&TC along with Tanzania Posts Corporation (TPC) and Tanzania Telecommunications Company Limited (TTCL) which are also separate legal entities. The bank is regulated by Bank of Tanzania as a Non-Bank Financial Institution. On 29th June 2015, a bill to repeal Tanzania Postal Bank Act, 1991 as amended was tabled at the National Assembly. The repeal was passed and enacted The Tanzania Postal Bank (Repeal and Transitional Provisions) Act 2015 which was assented by, His Excellence Dr. Jakaya Kikwete, President of the United Republic of Tanzania. This Act granted the bank permission to register under the Companies Act, which was done on 29th March 2016 in the name of TPB Bank PLC. The bank’s original focus at inception was providing financial services to the common Tanzanian and this has now evolved to focus on promoting financial inclusion and empowering Tanzanians by helping them develop a saving culture and access to credit. Thanks for reading CALL FOR APTITUDE TEST FOR THE POSITION OF BANKING OPERATION OFFICER PEMBA.